Cinelab is a free Windows 8 app for quickly editing videos on your computer or Windows 8 phone. 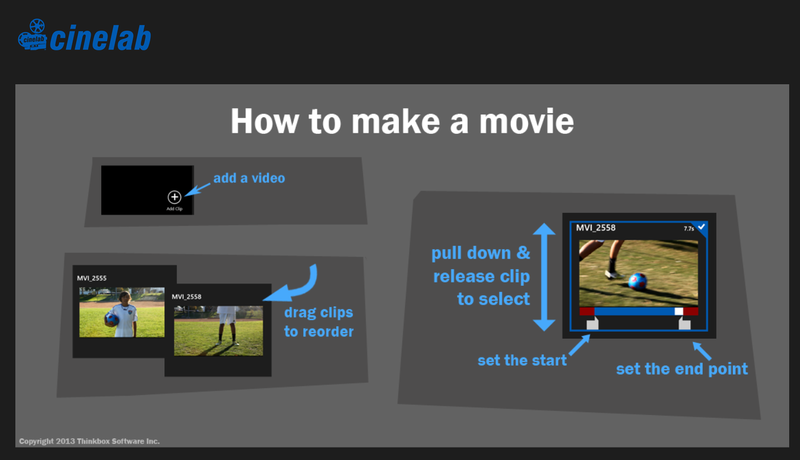 You can trim the start and end times of your video clips and combine clips to create a new video. To edit a clip and or create a new compilation of clips open the Cinelab app and start a new project. To get your project rolling import clips stored on your computer or phone. To edit an imported clip right-click on it then drag the start and stop indicators into position. You can preview and edit your projects as many times as you like. One of the blogging activities that I think is often overlooked is having students post short video updates to a classroom blog. The videos could be observations of things they discovered during a field trip, a science experiment, or just things they've learned during the week. Cinelab could be a good Windows 8 app for students to use to do some quick editing of those videos to post on classroom blogs or their own blogs.